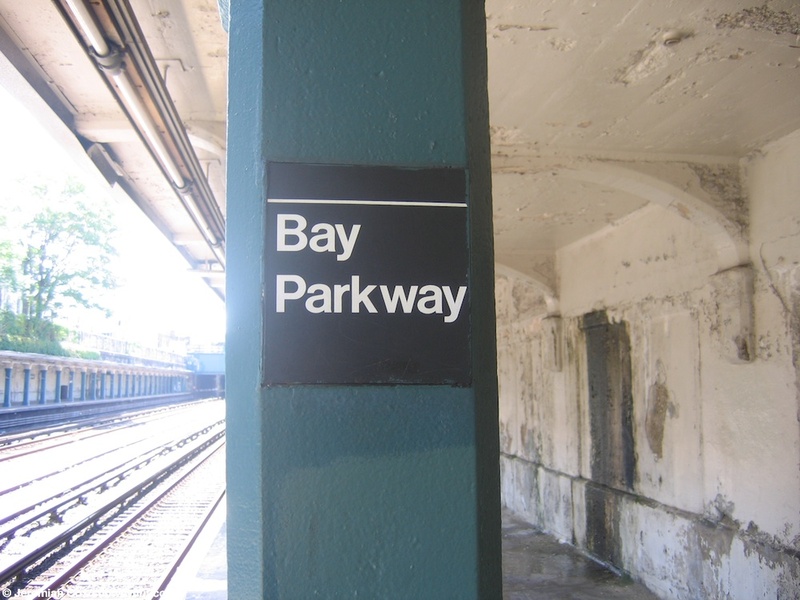 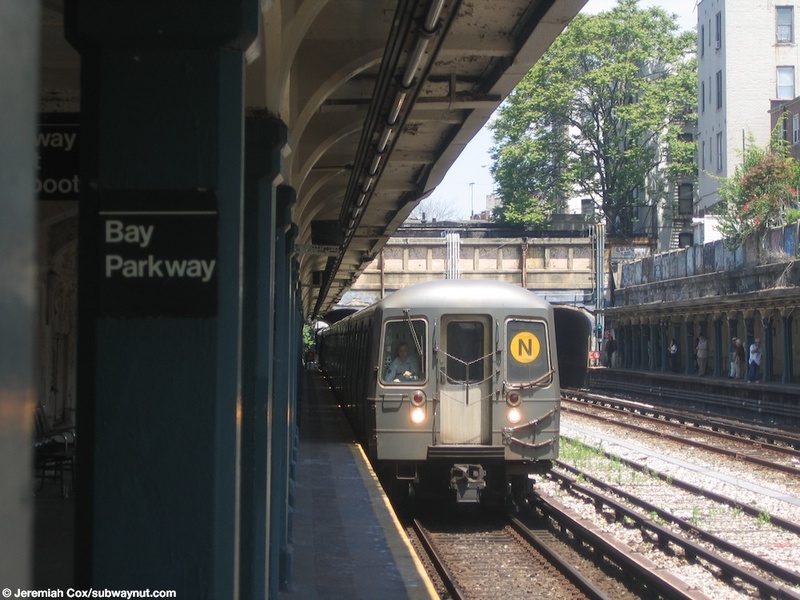 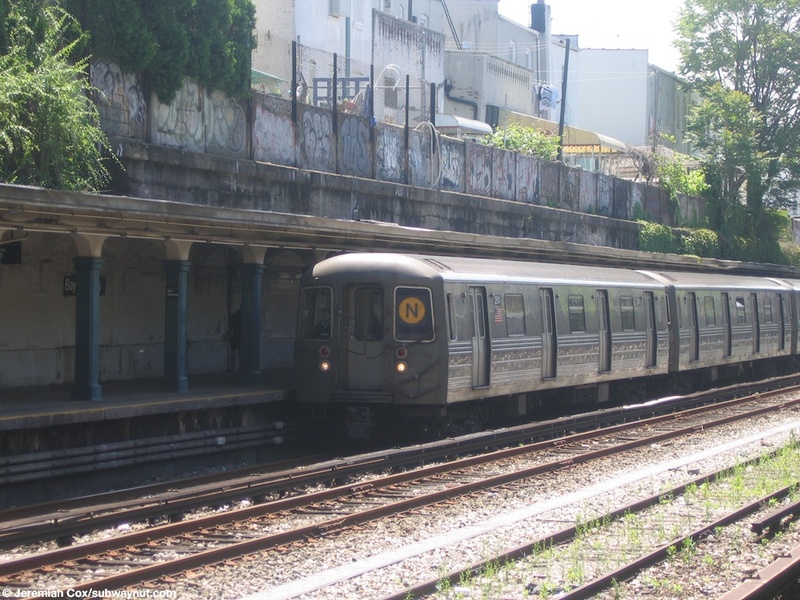 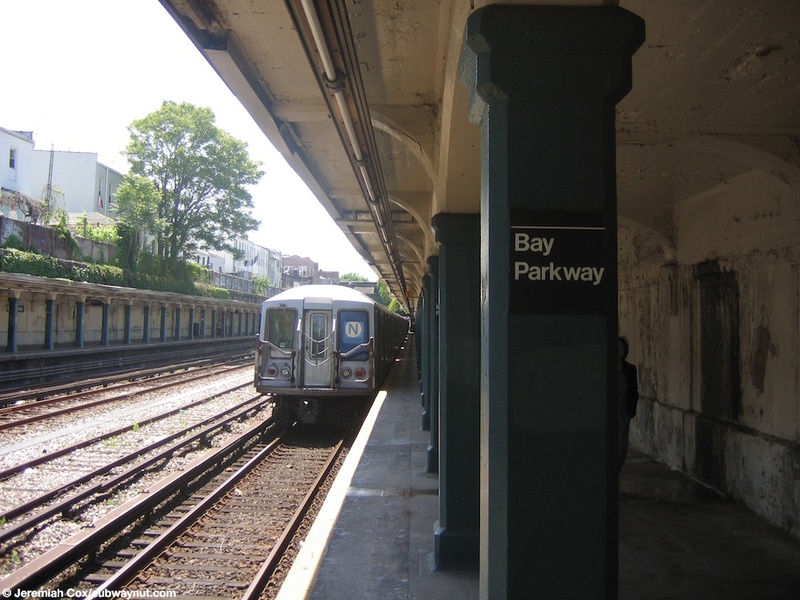 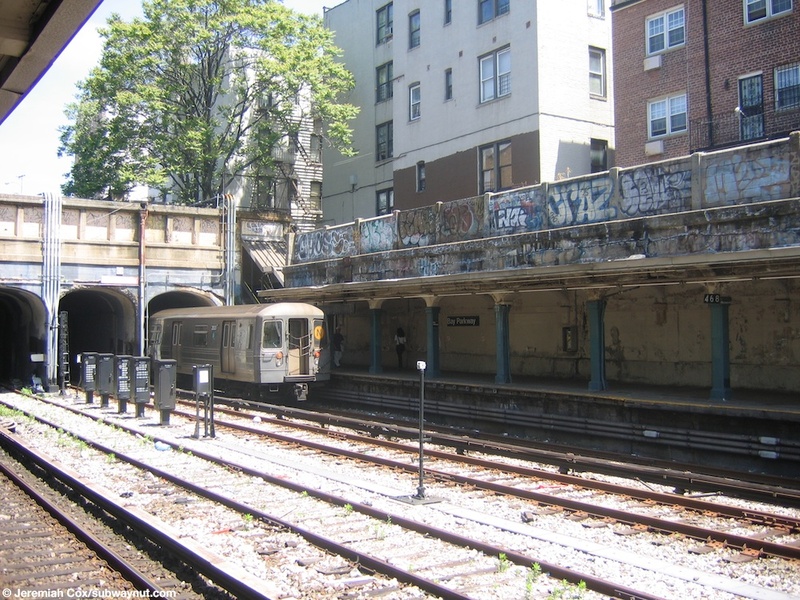 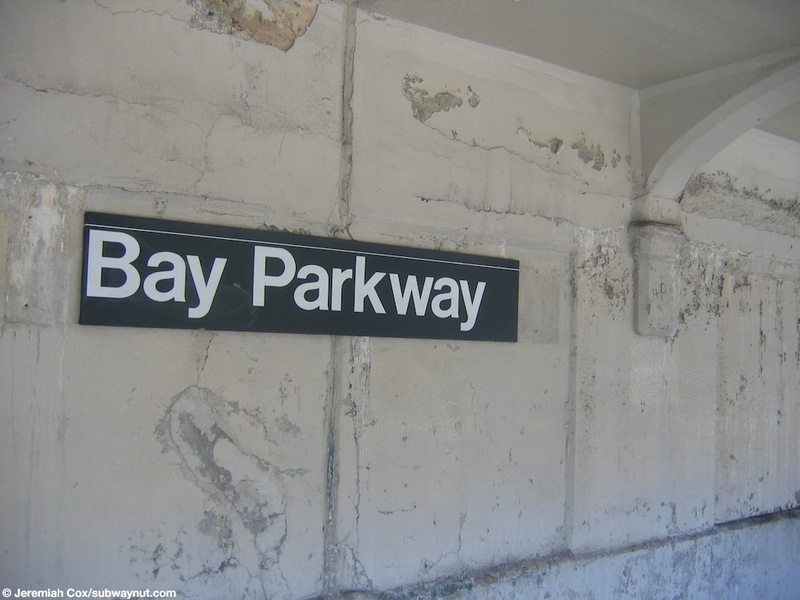 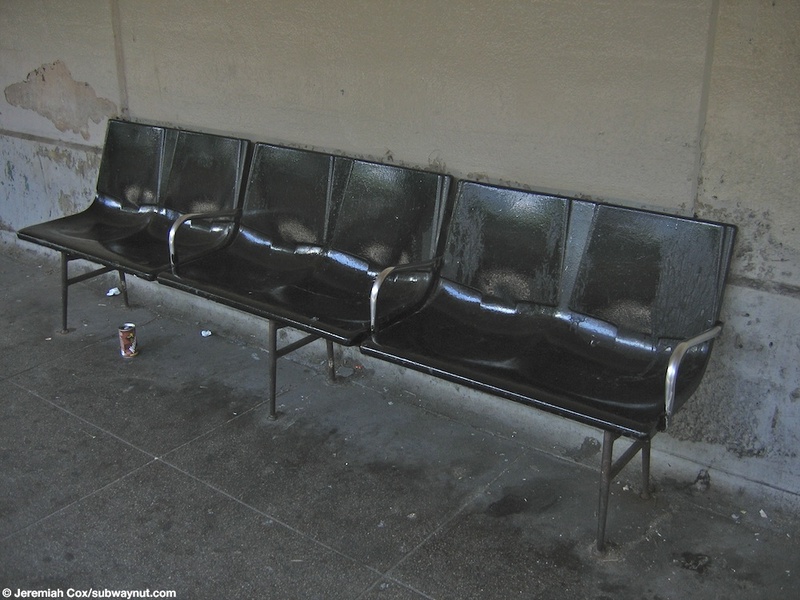 Bay Parkway is a standard trenched Sea Beach Line Station with two side platforms for the four-tracked line tucked beneath the backyards that encroach on the subway's open-cut. 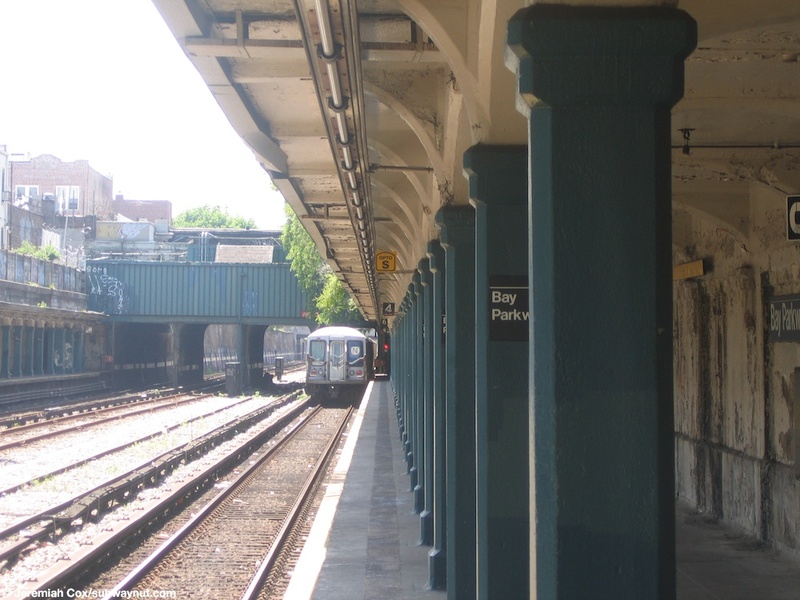 Both of these platforms have a series of blue-green columns along the platform edge and peeling painted cream concrete holding up the platforms ceilings. 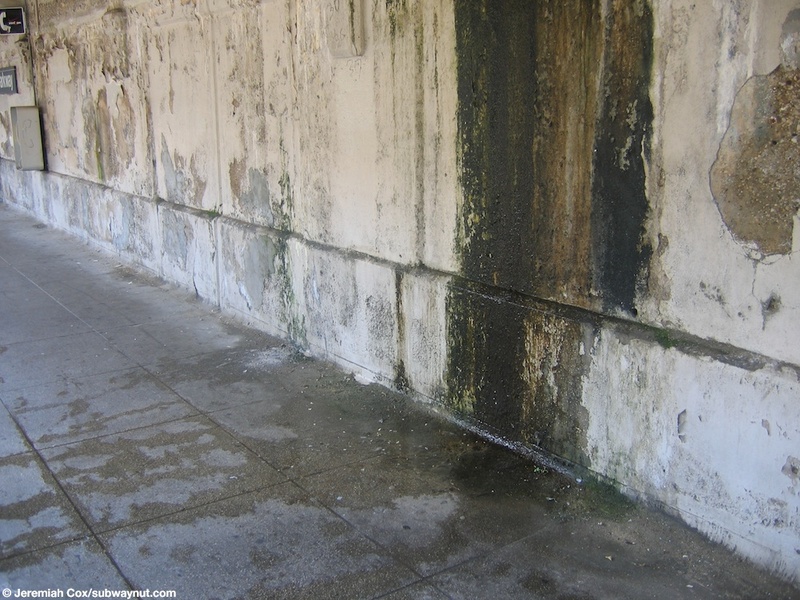 On a visit to the station in 2005 mold along the unpainted station walls was growing, I have no idea if this has been fixed yet. 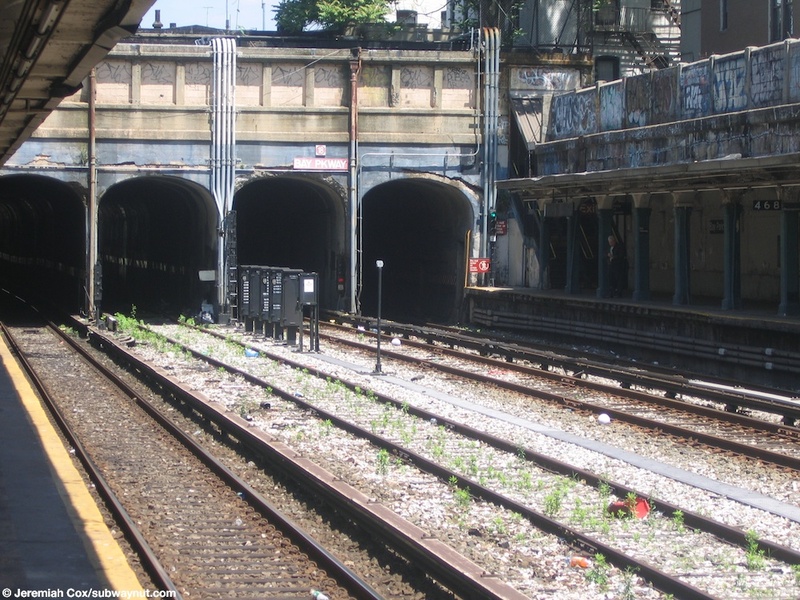 The station has two entrances one at either end. 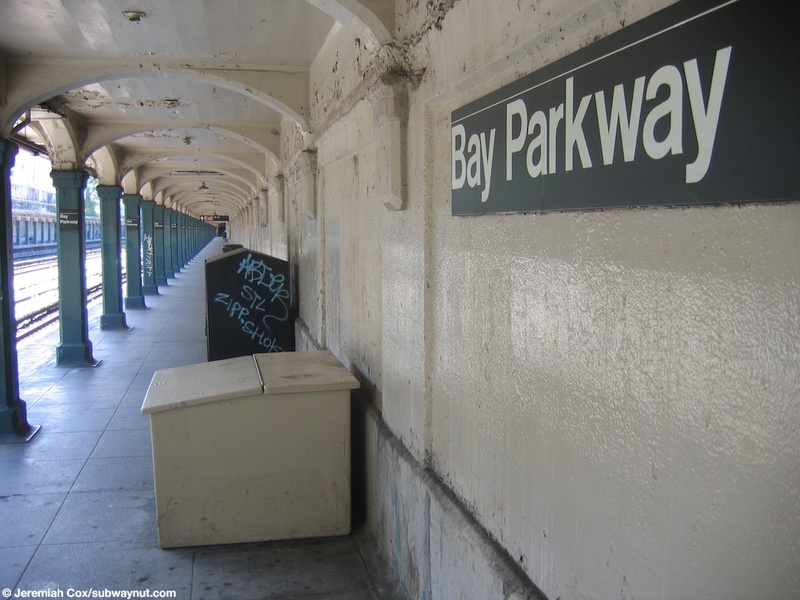 Avenue O has only High-Turnstiles and is at the southern end. 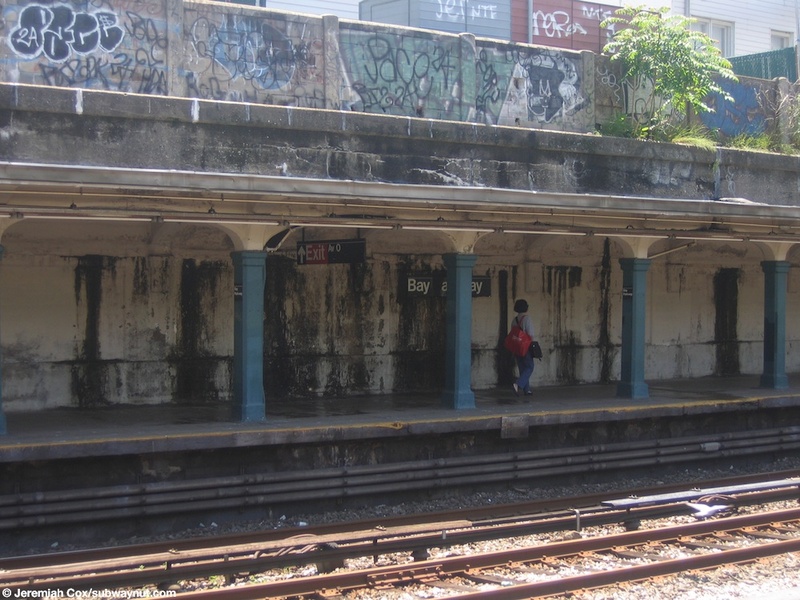 Its station house has the standard street facing facade with architectural detail. 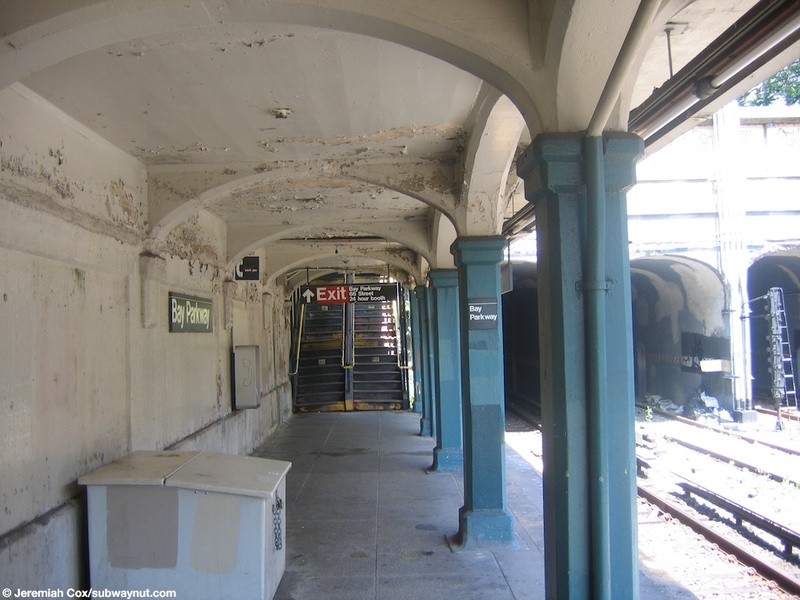 Access to the platforms is down a short staircase from the station house to a small overpass area that is enclosed by metal sheeting and single staircases down to each platform Bay Parkway has the full time token booth and regular turnstiles, its facade is unusual and is simple brick facing the street, with the doors at an odd angle to the street, because it crosses the tracks at an odd angle. 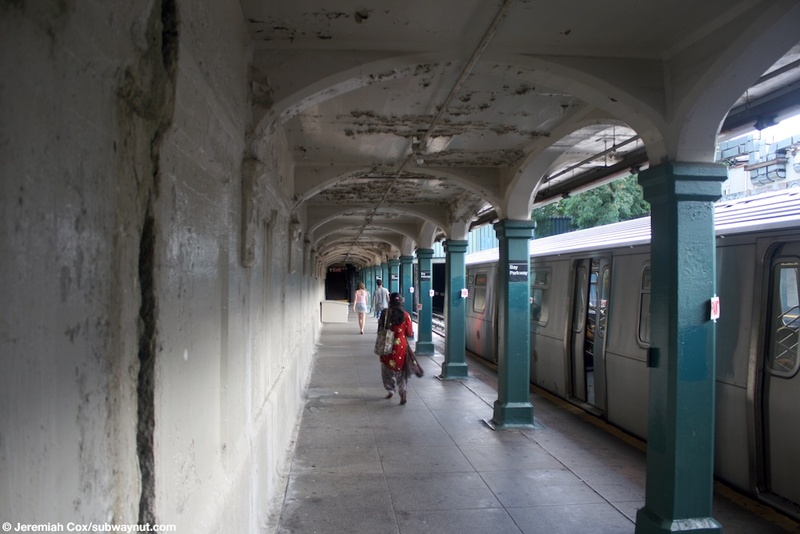 The interior of it looks like the standard Sea Beach line station house complete with some old tiling beneath the doors out to the tracks. 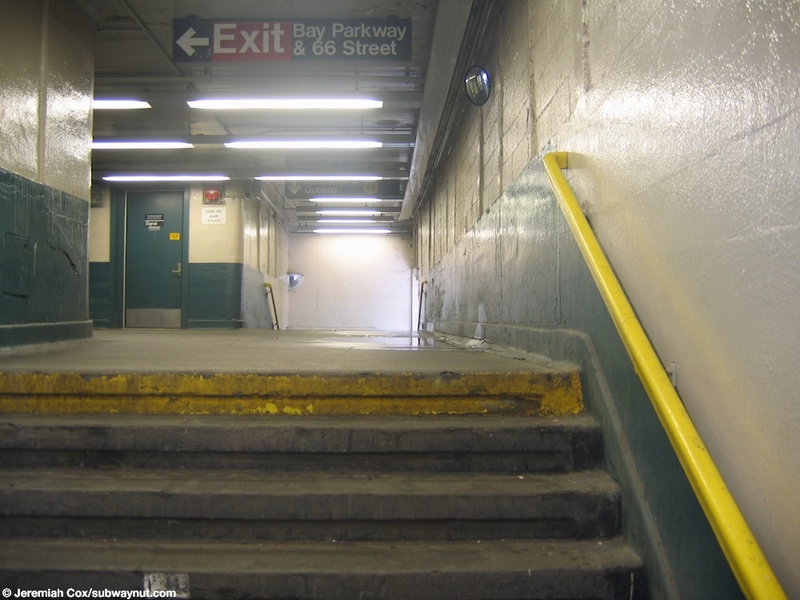 A concrete enclosed mezzanine structure provides as the passageway to the single staircase down to each platform. 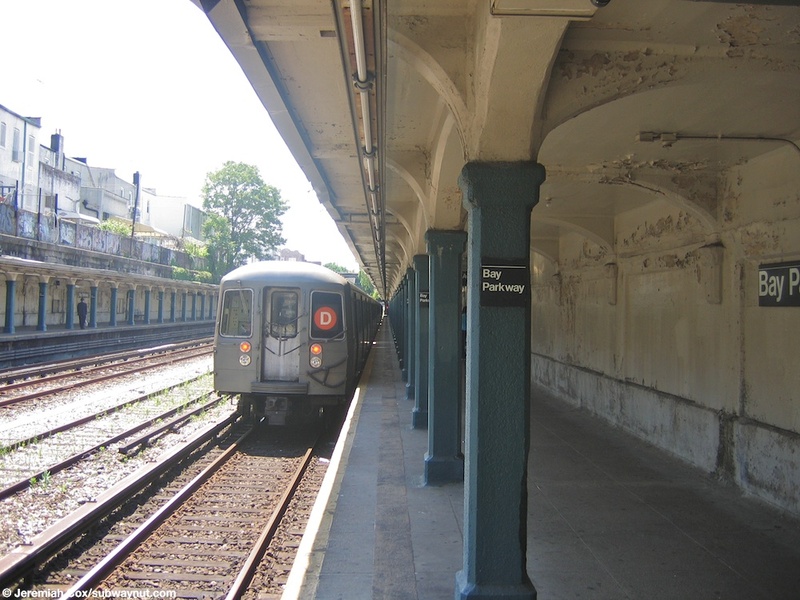 The platform is longer than a ten car train so passengers, particularly using the Avenue O end of the station have to walk a distance along the platforms themselves to reach trains.